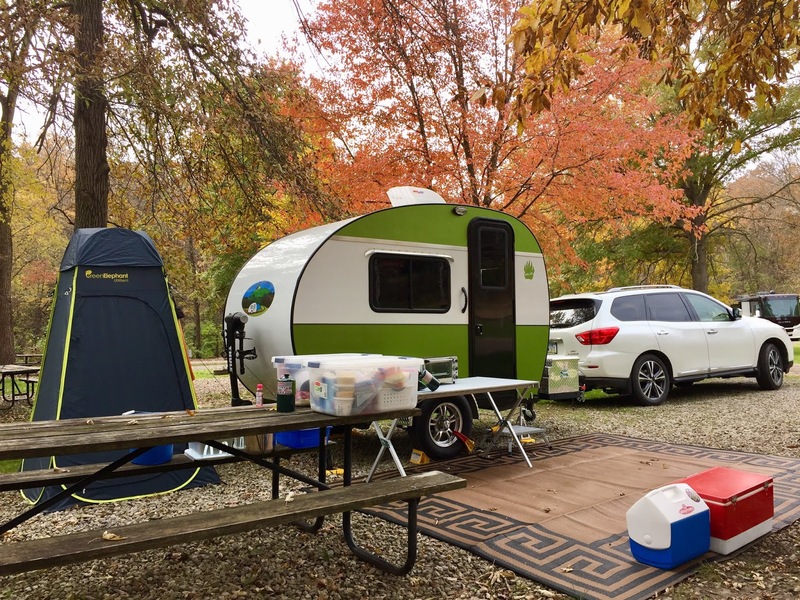 Out and about and enjoying ourselves and the world, that's what I my wife and I like about camping in our tall tiny teardrop trailer. We like enjoying friends and loved ones, enjoying things we like to do, and somehow enjoying ourselves while out at the campground just adds a little bit to the experience. I was looking for a small trailer that our van could tow so that I wouldn't have to buy a trailer and a truck. I was looking for a small trailer because I'd never towed a trailer before, and something that didn't obstruct my van's mirrors made me more comfortable. 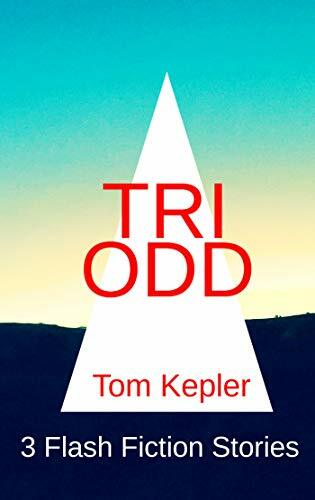 My dad was an automobile mechanic, and before "mechanicking," he drove long-haul tractor and trailers, and before that heavy construction equipment. Me? 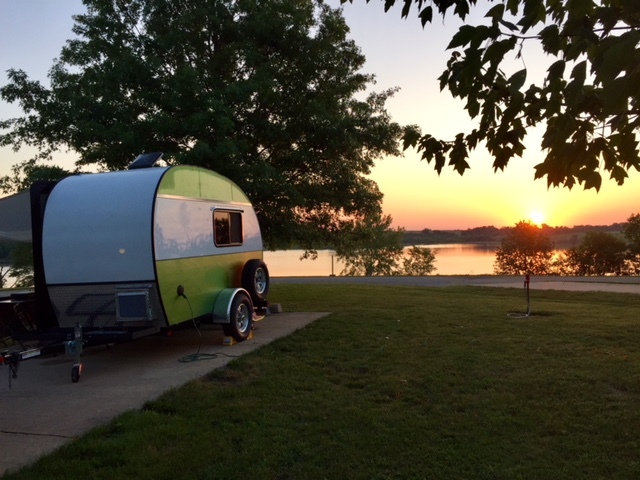 Well, I'm a retired school teacher, so I bought a hardly-used tiny trailer, taught myself the basics of towing in my quiet little neighborhood, and my wife and I are enjoying ourselves immensely--without a huge cash outlay. Then our daughter needed a new van, so we gave her ours and bought a new vehicle that came equipped with a tow package. We are ready to go! Our Green Goddess is a Rustic Trail Teardrop Campers product, the tall Polar Bear model. We wanted a trailer that could also be a mobile office for my wife, who owns a consulting business and works almost entirely by phone and online. 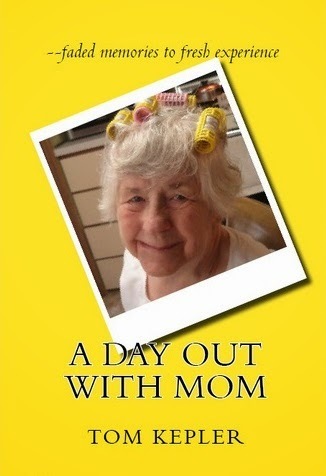 Why not take her out to a wonderful campground so that she can get out of the office? 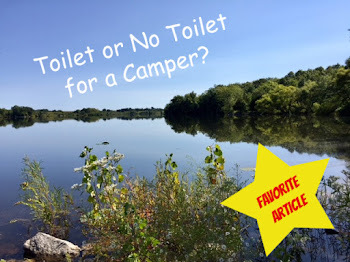 The first year of our camping was a quest for campgrounds with excellent cellphone receptivity--and we found three and camped there and enjoyed the experience. In fact, it was during these trips that we named the Green Goddess. You see, it was summer and our garden was producing well, including salad. We were eating all the salad we could before the weather turned hot and the lettuce bolted. And we were using a lot of Green Goddess salad dressing . . . and our trailer is this wonderful shade of green . . . and my wife had this idea for a name for our sweet little trailer . . . which led to the Green Goddess being christened! 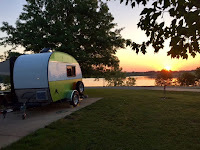 And since I like to write about the passions in my life, I started this blog, Green Goddess Glamping, as a platform to present the fruits of both my research and experiences with our tiny trailer. I've discovered many things, a major one being that the tiny teardrop trailer community is filled with wonderful people who are knowledgeable, kind and giving, and accepting. This blog is in part my way of giving back by contributing to the social groups that share a common interest in camping. The teardrops shed in the groups I follow are tears of joy. Learn about the glamour of nature and the little glamours of bringing some of the comforts of home along when you camp to make the stay more pleasant and elegant. My wife and I had some great experiences camping with a tent prior to buying the Green Goddess, but we found the window of pleasant weather too narrow, the good days for camping too short, especially if my wife were going to work while camping. Our tiny trailer really expanded the days we can camp and have a refuge from the extremes of precipitation, wind, temperature, and bugs. 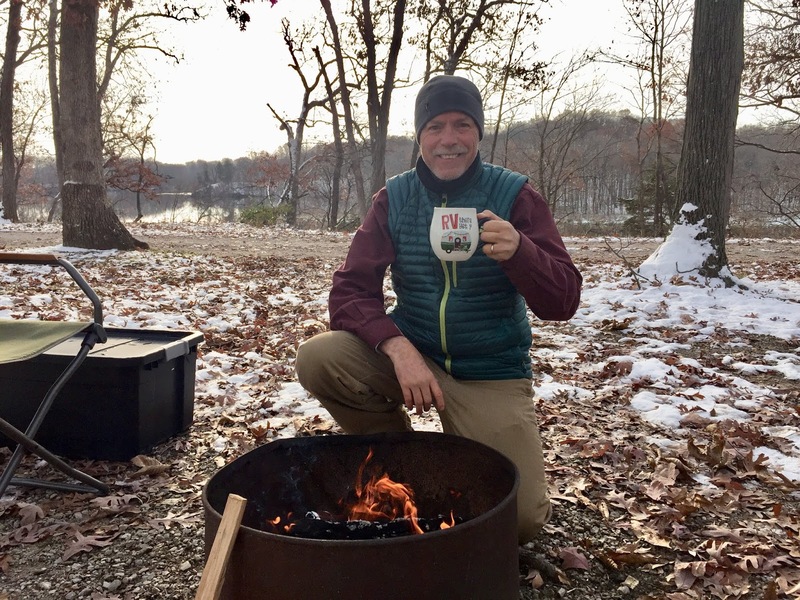 I had a wonderful time camping in the first snow of the year--a warm refuge in the trailer, pleasant walks while bundled up, and no bugs! I also gained a true appreciation for our campfire. 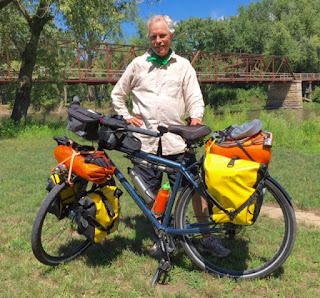 Prior to our trailer camping and tent camping, I bicycle camped. I still plan to take a few short tours because the physicality of the experience and the time on the road create a truly memorable experience. However, I didn't tour with my wife, and I missed her company. The Green Goddess provides a means for my wife and I to camp together, for me to take day rides while she works, and for us to still have time to hike or ride or just kick back in camp together. We are learning how to campfire cook together, which opens new vistas for camping. And soon we will be taking our two grandkids with us to a local county park, which should decrease our sleep and increase our adventure! Part of my giving back to the tiny trailer community is to write profiles of tiny trailer owners. It's something I enjoy doing. It's a way to share in the wonderful adventures of others who enjoy camping. It's a way to learn about the diversity of our camping community and also the diversity of the geography where we camp. I've created a page to centralize my profiles to make it easier to enjoy the exploits of our camping neighbors. It's listed under Owner Profiles at the just beneath the header. In Green Goddess Glamping, you'll find some things useful, some things fun, and some things funny. I don't rant and rave. I've always enjoyed learning, teaching, research, and camaraderie, which I've found in great measure in the tiny trailer community--and in the RV community in general. The peace and silence of nature is a wonderful thing. Come enjoy the great outdoors . . . and follow along as my wife and I enjoy it, too. Why Such a Tiny Trailer?